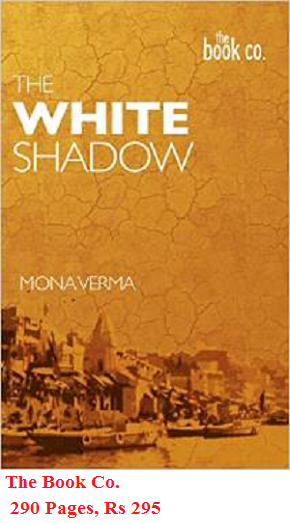 In these days when highly commercial mass-market paperbacks promise readers quick gratification, Mona Verma’s literary novel, The White Shadow, published by a new publishing house The Book Co. comes like a breath of fresh air. The White Shadow is set in Banaras, but the story begins when five-year-old Brinda is widowed after being married for a few hours, following the ‘death’ of her child-husband Bisbaas’ in a flood in the village, Ghurni. Her family refuses to take her back in, as she is considered an abhaga, one who brings bad luck. Her father-in-law Bibuthi hands her over to the home for widows, Nirmala Ashram to be taken care of by Vasanti Bua, who runs the ashram. The story describes the stark life of the child widows of Banaras and the adversities they face, begging for their living and ostracised by an obsolete culture in the holiest of lands, where everyone considers them bad omen. 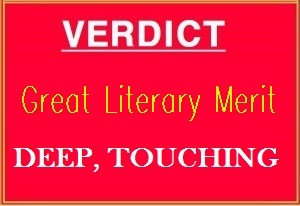 The title of the novel, The White Shadow is an apt but sad reference to the child widows’ pallid garb and their seemingly meaningless existence … but more significantly, the title is meant to demonstrate how the Law of Karma follows us like a white shadow, unseen but present, all the while. Brinda lives her hapless life silently, but her older companion, the widow Debi, fights powerful forces that try to prey on her helplessness and lure her to the ways of the flesh. Crossing the path of the ashram are two important characters in the story, Sia and Uday, who visit Banaras for different reasons … Sia to gather up the pieces of her life by visiting her parental home that she long left. And, Uday visits Banaras to relive his atavistic fears though ostensibly on an assignment as a photo journalist. Unbeknownst to them, they both have a past, waiting to be unfolded. Will they find their Nirvana in Banaras? What significance does the Law of Karma hold for them? But it is through the character of the ashram’s keeper Vasanti Bua that the author delivers the most powerful lines on Karma, seamlessly weaving the teachings of the Bhagavad Gita into the narrative, thereby adding depth and meaning to The White Shadow, in which the line between reality and fiction seem to blur.